I’m an average plodder, wife and mother of two (nearly) grown up children, love the off road running terrain both here in NZ and overseas and more importantly the great supportive environment amongst the ultra running “family”. Depending on what qualifies as “ultra” I have done quite a few 60 -80 k mountain runs over the years, plus a handful of 100k and 160k, 4 x previous WHW and one 200k race, plenty of meditation opportunities in that one! 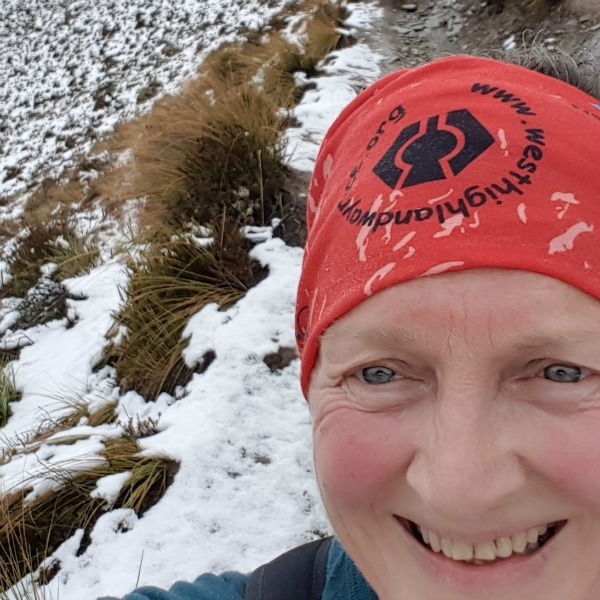 Why the WHW is a good question – it is an absolutely beautiful area and a really well organised event – the real reason though is probably that my Scots born husband has his eye on another whisky goblet – deserved reward for years of support. Photo attached is from a run over New Zealand’s Ben Lomond – which is near Queenstown in the South Island of New Zealand.